Credit cards are quickly becoming the preferred method of payment in Canada. Canadian consumers share 7 reasons why they favor cards even as new digital options appear. 1. Convenience - Access to credit cards has made shopping simpler, both in person and online. Consumers enjoy the speed and simplicity of swiping a card and having the payment processed instantly. Convenience is always a top priority for consumers, and mobile payment apps are quickly taking over the scene, even rendering "swiping" a thing of the past. 2. Growing Trust in Credit Card Companies - The last few years have also seen an increase in consumer trust toward credit card companies. For instance, improvements in banking security mean that consumers are more willing to use their cards online where before the risks of identity theft were too great. The result is that there are now more opportunities for shopping in a wider variety of shops, and protections are in place if fraud occurs. 3. Rewards Programs - The prevalence of rewards programs has also increased reliance on credit cards. Whether you are earning points which can be converted into gifts, or you are simply earning a cash back incentive, the perception of saving money every time you swipe has driven rapid growth in the industry. 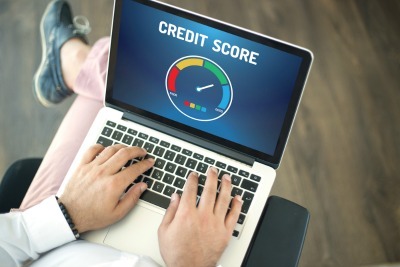 4. Credit Score Tracking - As an aside, many consumers are choosing to use credit cards these days as a means of building and tracking their credit. More credit card companies offer free credit score access today, so consumers can stay more informed and make better financial decisions. While this may not be their primary reason for opening a card, more than 20% of people say that this function is very important to them according to TSYS. 5. Safer than Cash - One important piece of the credit card payment puzzle is the reliance on cards for high dollar payments. While cash is still a primary part of daily transactions for many people, when it comes to making large payments in a single transaction, credit cards are the preferred method because carrying large amounts of cash is generally seen as unsafe. 6. Customer Service - When it comes to customer service, many Canadian consumers also indicated that the customer service team behind their cards played an important part in their usage. Afterall, credit card companies are there to make money, so it is in their best interest to provide you with great service. 7. Maximizing Spending Power - Among those who have reached their mid-20s, credit cards offer the fastest way to grow your spending power. As a young adult, strict credit limits make credit cards slightly less important, but over time, they outpace debit cards as a means of leveraging credit for better experiences. Canadian consumers have consistently proven their preference for credit cards for many years, and the reliance on credit cards continues to grow even as new digital payment options come available. Ultimately, credit cards are one of the safest, most accessible and most versatile means of handling payments of any size today.